Why does it seem that, for so many people, credit cards are synonymous with fear? It seems like you mention the words to someone and they cringe at the thought of debt, interest rates, low credit score and all the various other fear factors that are all too common. Well, friends, we are here today to debunk some of these credit card urban legends to help you take a deep breath and realize that there is nothing to fear from credit cards! Shocking, we know. Let’s begin! Probably the biggest fear with credit cards has to do with their assumed negative impact on your credit score. This fear is made out to seem like the act of applying for even one credit card will greatly damage your current credit score. The reality is that your credit score will not be greatly damaged through applying for credit cards. The fear comes from the fact that when you apply for credit cards or loans something called a hard inquiry is run by the lender. In general, you would need to authorize a hard inquiry before they will proceed. This process can lower your credit score by just a few points and can remain on your credit history for up to 2 years. However, whatever “damage” that was done from the hard inquiry can slowly dissipate and rectify itself. Relax, you probably crush your credit card more with your wallet than your credit score would be crushed by applying for credit cards. Another all too common fear with credit cards is the idea that there will be such astronomical interest rates that go along with them that it’s not worth the trouble. The theme with this fear is that the interest will just accumulate in greater amounts over time and ultimately lead to debt. The reality here is that there are ways to lower or even completely avoid interest payments with credit cards. 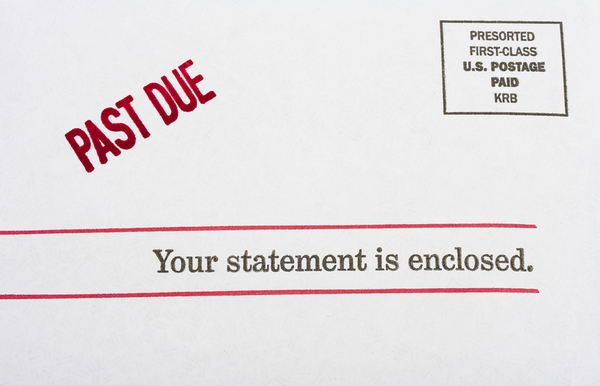 Paying your balance in full and on time can avoid interest charges. Interest rates can also be negotiated with the credit card company, as well as having the option to transfer balances to a card with a lower rate. This fear can be beat by doing research on the credit card company of your choice and learning all you can about the interest rate rules. This will help you make the best decision for you with no misconceptions about interest rates. A major yet misplaced fear about credit cards is the fear of them putting you in major debt; that it will be far too easy to spend too much money and, before you know it, you are swimming in a sea of debt and despair. Good news! The reality here is that going into debt has absolutely nothing to do with credit cards, it has to do with YOU! As long as you hold yourself accountable, set a budget, utilize free credit checks to monitor your credit score, a credit card will do nothing to put you towards debt. You are the one who is in charge of your spending habits, not the plastic. Always be responsible when spending money, no matter the tender! So, what are you waiting for? Be fearless and start your search for the perfect credit card right here, right now! 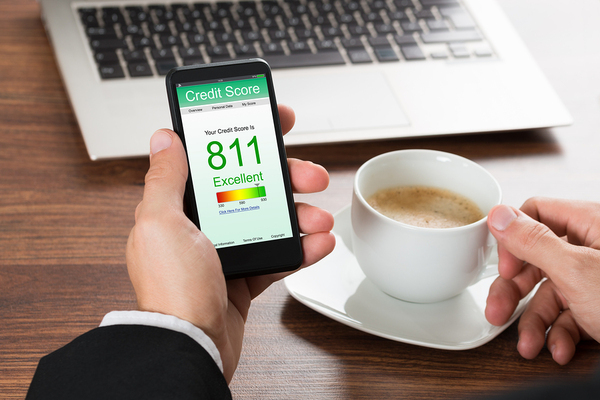 Despite what you might initially think, it turns out that you can turn having more credit cards into having a higher credit score and overall improved credit report. In fact, approximately 46% of Americans have more than two credit cards. This is entirely dependent on how smart you are with your spending. However, if you are brilliant with your budgeting you can have as many credit cards as you want. Don’t believe us? Keep reading! Sometimes with credit cards it’s all about “the more, the merrier”. The logic behind having more credit cards as a credit score booster comes down to what is known as your credit utilization ratio. This ratio is the amount of credit you are currently using divided by the amount of credit available to you. The lower the ratio, the better your credit score. Typically, you want to have your ratio be 35% or less. 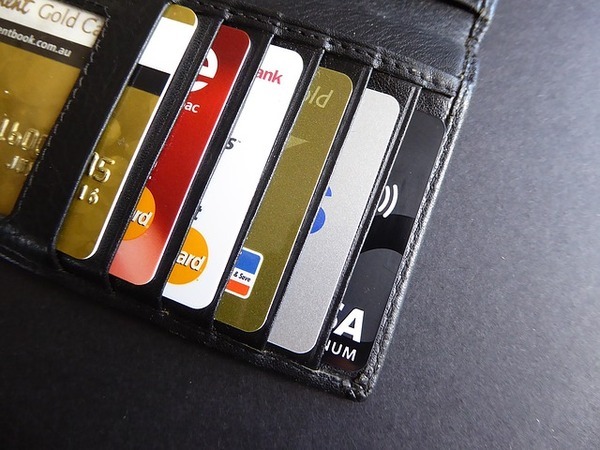 Having more credit cards (that you use wisely, of course) allows you to improve upon the ratio because it increases the amount of credit available to you. As long as you keep maintain the amount of credit you utilize as you increase the amount of credit you have access to, the ratio will decrease and your credit report will improve. Now that you know why it’s a good idea to have multiple credit cards, we can talk about how to use these credit cards wisely. Just because we are saying that more credit cards are a good thing does not mean we are advocating spending frivolously with them. On the contrary! To keep your credit utilization ratio low, you need to proportionally maintain or lower the amount of available credit you are using as you increase the amount of the line of credit you have. Basically, don’t spend more just because you have more cards. Keep your spending habits conservative and focus on one thing: categorizing. By having a credit card designated to one expense you are able to accurately track your spending and stick with your budget. 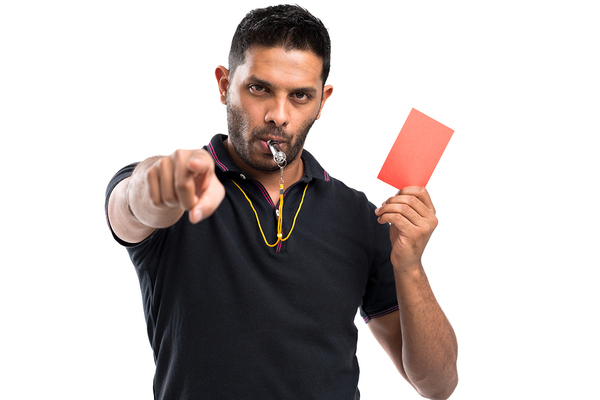 Also, spotting fraudulent charges becomes evident much more rapidly and can be addressed in a timely manner. The most important thing to remember is that you can really keep your spending rules in check. Your gas credit card is for gas and that is it. Your grocery credit card is for buying groceries and that is it. If you are ever spending money on anything that is not one of these two categories, then these two cards stay tucked away in your wallet. 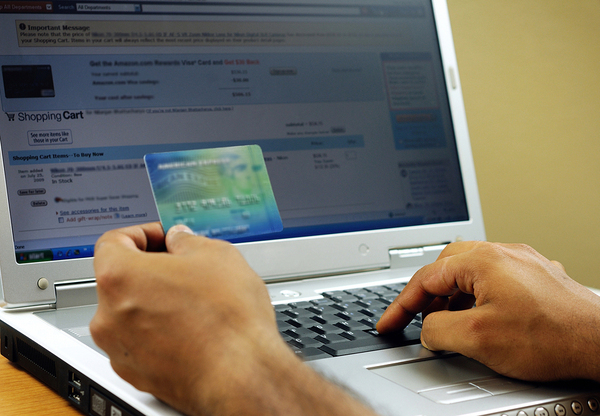 Find the best credit card offers and start improving on your credit utilization ratio! In a world that seems busier than ever, we tend to rely on cell phone apps or online services to keep us checked in to our lives. Who doesn’t have at least one social media app that they check on a regular basis? How about news or sports apps to keep on top of everything that happens? While these types of “checking in” occur without a second thought, checking your credit score and bank account doesn’t always come as second nature. Take a moment to learn about why mobile money management can keep you on the very important quest to be a champion of your credit score. Just because you ignore checking your credit score while you spend with your credit cards doesn’t mean that your credit score is ignoring you. This is not an “out of sight, out of mind” situation, as much as we’d like it to be. Credit needs to be more of an “on the mind, in your sight” situation. Your financial status is your identity to the lending and credit world. A credit score is basically your personal social media profile to financial institutions and utilized when determining whether you are worthy of a loan. How you use your credit cards and the money decisions you make will have long lasting effects on your credit and is of the utmost importance. Everyone wants to have the best profile to present to the world, right? A credit score should be no different. Your credit score is a part of your identity It deserves some regular attention. There are countless apps available to help with your mobile money management. Check out and learn how to use all of the features available to you through your bank’s online banking to take advantage of features like account balances and online bill pay. You can also find additional apps to help you with your finances, depending on what you want their major function to be. There are apps designed for those who save, those who shop, those who travel and those who budget. Do a little research to see what kinds of apps will be the most beneficial to your money management plan of action. Regularly checking on your credit score and finances keeps you conscious and aware of your money decisions. It can be far too easy to push bad spending out of your mind when you aren’t frequently looking at your credit card accounts or budget. 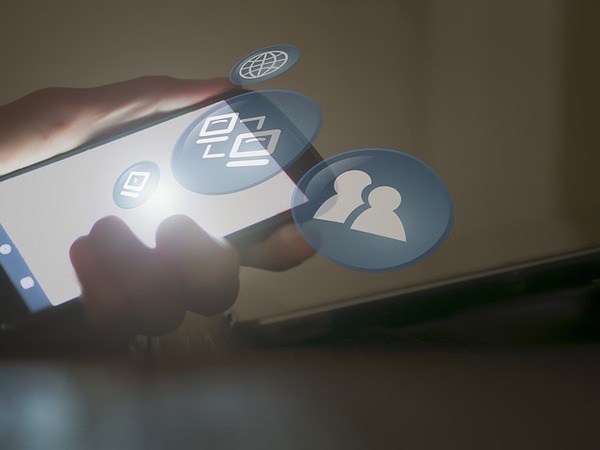 Mobile apps and online banking make it easier than ever to maintain accountability. 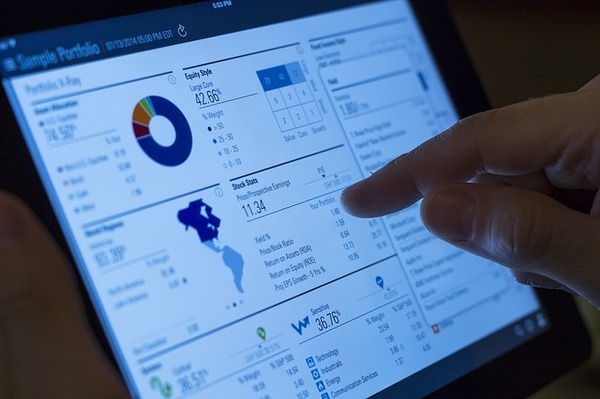 Your financial life is just a touch or click away, so there is no excuse not to be in the know! Now that you are being accountable for your countable spending, your credit can only benefit. You’ll be making smarter choices, you’ll be able to detect fraud or incorrect information must faster (which, in turn, leads to a faster resolution), and you won’t ever be credit score blindsided. Get your credit score today and get going on your own personal mobile money management! There are tons of mistakes that are made every day that have the potential to take you on a ride down the road to poor credit. From buying items you really want, but don’t really need, to exceeding your credit limit. Life presents lots of opportunities to begin down the slippery bad credit slope. By making yourself well aware of, and focusing in on, the more common mistakes rather than every possibility, you can truly internalize good credit habits and avoid these three major missteps. Let’s start this off by saying that making a minimum payment will always be better than not paying at all. The common mistake that comes into play here is that many people choose to make only a minimum payment on their credit card when they have the ability to pay the balance off in full each month. Remember that there are interest rates with credit cards, and the longer you take to pay it off, the more interest costs you’ll accrue. Think of it in the sense that, by trying to save some money right now by paying only the minimum when you could pay the full balance, you have the potential to end up paying more in interest than the original amount borrowed. Not such a smart financial choice when you look at the big picture, right? Trying to cut dollars and cents each month in the present will not make much credit sense in the future. When you can pay in full, do it! This is probably the most damaging common mistake to your credit, since one of the primary factors taken into consideration is payment history. 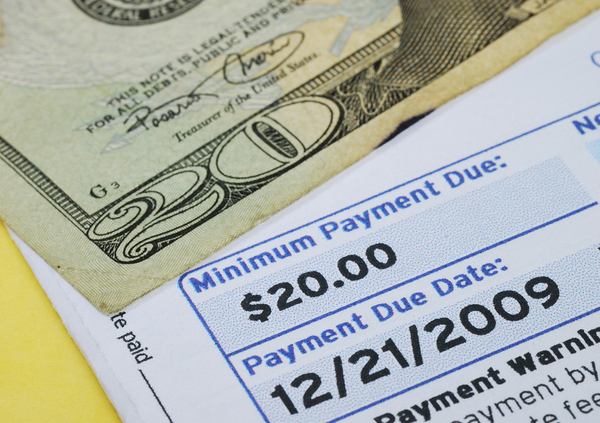 Even one late payment can show up on your credit report for up to seven years. That’s nearly a decade! Think about how much can change in that amount of time, yet a common mistake is keeping you trapped in the past. Don’t get stuck in the vicious cycle! A common mistake that doesn’t take long to make will take a very long time to correct. 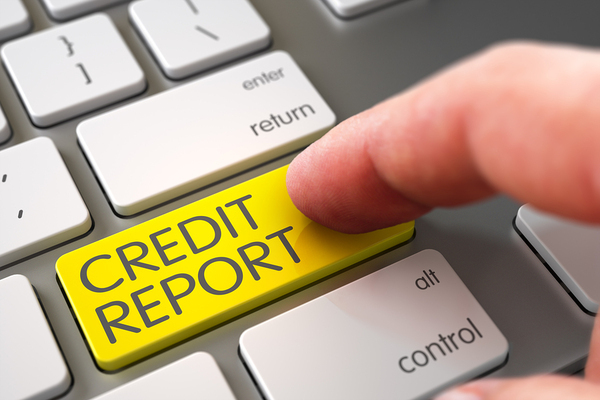 Make sure your correct credit foot is forward and at least make minimum payments each month. It’s too easy to make a habit of paying late, because you’ll be paying for this common mistake for years to come. There is no excuse not to be checking in on your credit report from time to time. There are a plethora of free credit check options available to you nowadays, and the more credit knowledge you have, the better off you will be. Frequent checks are a great way for you to keep spending habits under control, as well as to be aware of any possible signs of identity theft. It’s also important to check your credit report to make sure there is no missing or inaccurate information that comes back. Simple mistakes left uncaught could lead to you getting denied for an important loan in the future. It’s basically as easy to check as pressing a button, so what are you waiting for? Remember that these are just the beginning, there are tons more mistakes that are just as easy to make as these major common credit conundrums. Making yourself aware is the first step to combating them, so don’t forget to sign up for top offers and get on top of your credit! Did you realize that your credit score says more about you than how you manage money? In fact, it’s a number that can be used to represent and measure what type of person you are. Being conscious and aware of your credit will not only assist you in improving upon your credit score, but also affect your life on a larger scale. Good credit traits are intertwined with good character traits, and their importance transcends the everyday and impacts the long term. 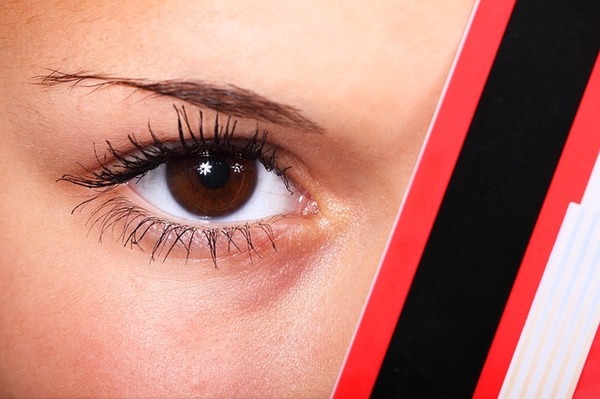 Here are some ways that your credit and your credibility are one and the same. Being aware of your credit score will help instill a sense of responsibility in you that translates beyond your money management ability. When credit score is on your mind on a regular basis, you will tend towards making wise and cautious financial decisions. This mentality is the foundation of responsibility; the ability to rationalize and make the best decision available. We bet you didn’t realize that having good credit can lead to long term relationships. Yes, we are serious. In fact, the Federal Reserve actually conducted a study that found your credit score could be one of the biggest predictors in determining relationship success. Since good credit is indicative of being responsible, this also translates into commitment. The study found that people of similar, sound credit scores tend to have longer lasting relationships. 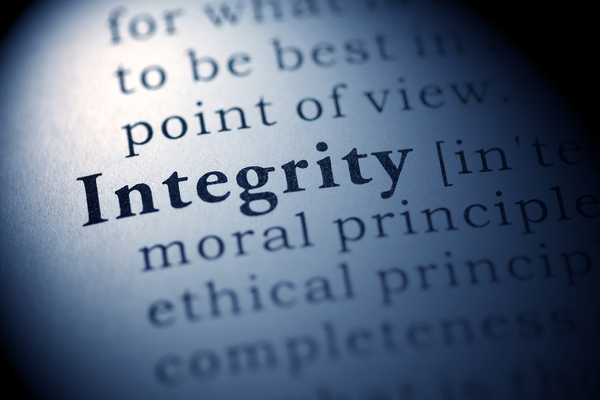 Another personality trait that comes along with good credit is integrity. This is built upon the fact that having good credit translates into you living up to your word. Think about it – having a line of credit or getting a loan is basically you giving your word to the source that you will pay back what is expected of you in the manner in which it is expected. Not paying what you owe is breaking your word, which is a characteristic of a person with little integrity. More and more it seems like the definition of integrity includes good credit score. A good credit score and strong credit report demonstrates to the world that you fulfill your obligations. You make commitments, such as repaying a loan, which you intend to keep. You live up to what you have represented you will do in regards to your finances. Being more conscious and aware of your credit score increases your motivation to continue paying on time and build upon your integrity. It takes discipline to complete a required action consistently and properly. Maintaining good credit is intertwined with your ability to make your payments on time for credit cards and loans. Keeping actively aware of your credit will help you take the initiative to stay on time with this, and demonstrate your discipline in fulfilling your responsibilities. Getting in the habit of regularly checking up on your credit is a discipline in itself that feeds into a drive to always have a positive result from your credit checks. Being conscious of credit is like being your own referee, keeping you disciplined and on track. Good character and good credit go hand in hand. Being conscious and aware of your credit will help you strive to maintain the best score you can, which in turn enhances positive character traits. Good character lays the foundation for you to be an informed credit connoisseur, as your sense of responsibility, integrity and discipline will drive you to stay present about your credit status. See our top credit card offers and continue to build good character and habits that will last a lifetime! There are two sides to everything in life, even credit cards. Sometimes it seems that all you hear about from friends or the media is debt horror stories about how credit cards completely ruined lives to the point of no return. Don’t panic! There are just as many good things that credit cards bring to the table as these shocking stories. Take a deep breath, because we are about to explore both the good and the bad of having a credit card. Convenience: See something on the internet you have to have, but you have no credit card? Better get yourself to a store to buy a prepaid gift card or you are out of luck. Credit cards allow the freedom to shop through virtually any commerce medium, from over the phone purchases to online overseas impulse buys. You can even be granted the option for monthly installment payments on hefty expenses when using certain credit cards, adding to the convenience factor. You can also not only pay your bills, but participate in bill consolidation, making it even easier to stay on top of monthly expenditures. 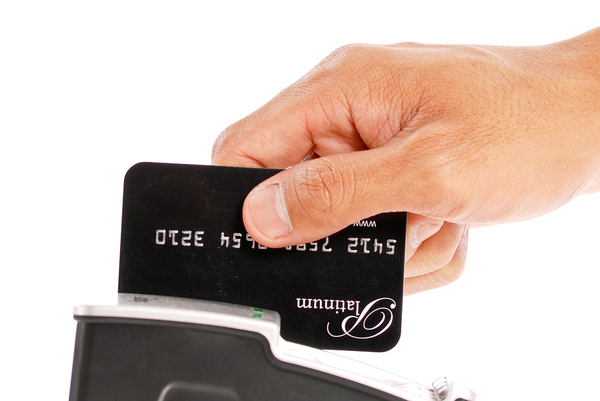 Credit cards give you shopping options that checks or cash simply cannot offer. Who doesn’t love a little home shopping? 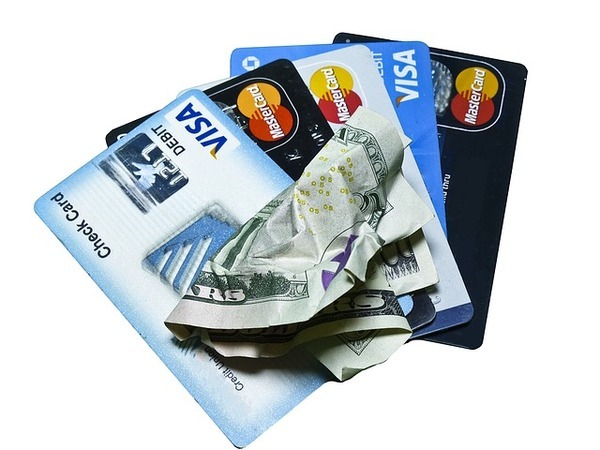 Credit Building: It’s simple math: credit cards = credit score. Having a credit card automatically gives you a line of credit, and, if used wisely, you are on your way to building a solid credit foundation. You are going to need to have a line of credit established for when it’s time for you to make major purchases, like a car or home. Security: When using credit cards, all your transactions are saved in a payment history. Not only is this helpful for budgeting and tracking spending, but this makes it easy to spot potential identify theft. Unfortunately, in the environment in which we live, we need to err on the side of caution when it comes to credit card use. In the unfortunate event that a credit card does get stolen or lost, simply pick up the phone to call and cancel. Your credit card history is just a click away. Check your account often and keep smart spending in the front of your mind! Convenience: Sometimes too much convenience is a bad thing. If you lack discipline and self-control, spending with a credit card can easily spiral out of control because of its “quick swipe” mentality (swipe it and forget about it!). Just because it’s as easy as flicking your wrist, doesn’t mean it should be done mindlessly! Small purchases add up fast. Credit Crumbling: Credit cards can quickly damage your credit if you use them without restraint or wisdom. Late payments, missing payments, exceeding credit limits and so many more actions can harm your credit and get you into a fair amount of debt. Fees Fiasco: Not being a responsible credit card carrier can result in lots of late fees and interest payments, leaving you owing more money than what you started with. The bottom line is that a fear of credit cards is more a fear of self-control. If you can be a smart spender, credit cards are helpful to establishing your financial identity instead of being detrimental. You have nothing to fear if you equip yourself with the tools to be wise with your money. So now that your fear is gone, what are you waiting for? Find your ideal credit card today and begin enjoying these and many more positive benefits! Starting college is almost like starting a new life. So many new experiences to embark upon, new found freedom, and more financial responsibility. It’s normal to feel like you need some advice on what to do to be a smart spender now that you’re on own, and you certainly aren’t alone. In 2015, it was expected that over 20 million students would enroll in American universities and colleges. Now is the time to start internalizing helpful financial tips to be as money savvy as possible throughout college and to lay the foundation for a wise spending future! Get yourself prepared! Going to college with a budget and financial plan will help you stay on the right track with spending. 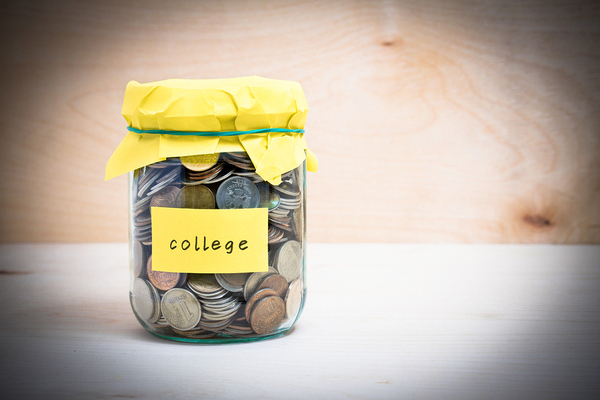 It can be tricky to calculate outgoing expenses, especially when you’re first starting college life, but ease yourself into a conscientious spending mindset by calculating your income sources, funds from parents and savings. Even small financial decisions add up over time, so save those extra dollars and cents when you can by sticking to a smart budget. Now that you have your budget all set, you need a place to start storing your cash. Do so research into the best banks that work with your school. Banks with online banking and mobile banking options are not only convenient, but also keep you more connected with your money so you can stick to your budget consistently. Be sure to look at out-of-network ATM fees in case you choose a bank that isn’t the closest to you. Many banks will also offer free checking accounts to college students. With your budget and banking in check, you should consider a credit card. Notice how we said “a credit card” and not “several credit cards.” It can be so easy to get sucked into the excitement when first starting college and want to jump on all the seemingly great credit card offers that are now available to you. Don’t rush! Make sure you read the fine print on everything and do your research. Look for benefits like cash back, low interest rates, or no annual fees. By making a smart first choice with a credit card, you are on your way to establishing a good college credit rating. Set yourself up with smart credit card spending to be credit rating confident when you graduate! Take pride in your college and show your spirit! Lots of college towns will provide discounts to students. Not only will becoming a discount hunter save you money during college, you will also begin to get in the habit for tracking down deals when making purchases; this is an invaluable skill to utilize through adult life. 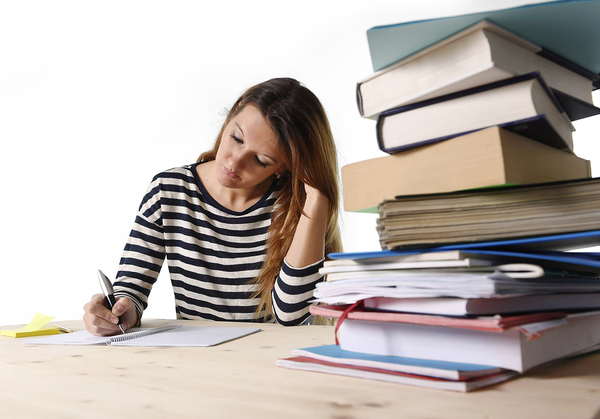 Student loans are a great asset for college students, but they are to be used in moderation. Going crazy with applying for student loans will lead to extended debt, post-graduation. Not meeting payments or having loans go into deferment will negatively impact your credit rating. 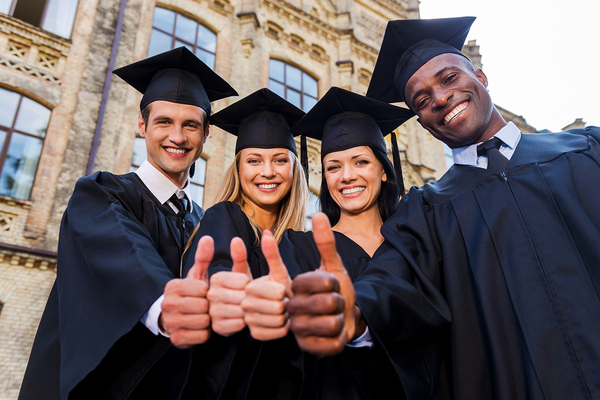 Only take the minimal amount of loans that you need to cover your school expenses. Read up about federal loan programs. You should also check out scholarships and grants that could be available to you, especially as an incoming freshman. Being smart about buying textbooks is one of the best ways to save money as a college student. You should never pay for a new textbook unless you absolutely have to. Try to find used copies in the bookstore and save a significant amount of money on this class necessity. In fact, try bypassing the campus bookstore completely. It tends to be the most expensive option for getting the textbooks you need. Look into online options, like downloading books or ordering books online. You can sell your books back at the end of the semester as well. This can be done through the bookstores or online, and it gives you an opportunity to make some money back on a book that you won’t need to look at again. Saving space and money at the same time, what could be better? Do you really want to clutter up your dorm room with textbooks you’ll never need again that only remind you of your crazy final exam? We didn’t think so. Find your credit card today and start enjoying college life! Unemployment: it’s a word that you can never feel good about saying or hearing. There is no positive that comes out of being unemployed, especially when it comes as a total shock with no time to prepare. One of the first things that strike when you are faced with unemployment is the panic about how you will take care of your financial responsibilities. Then you’re hit with the massive responsibility of the need for meticulous money management. Take a deep breath. You are not alone. As of May of this year, the national unemployment rate was at 4.7%. That’s approximately 15 million people. Yes, million. We are here to help you get some peace of mind with three great pieces of advice on how to handle your finances while experiencing unemployment. Take another deep breath, and let’s get going. Did you do it yet? Okay, good. Let us begin! 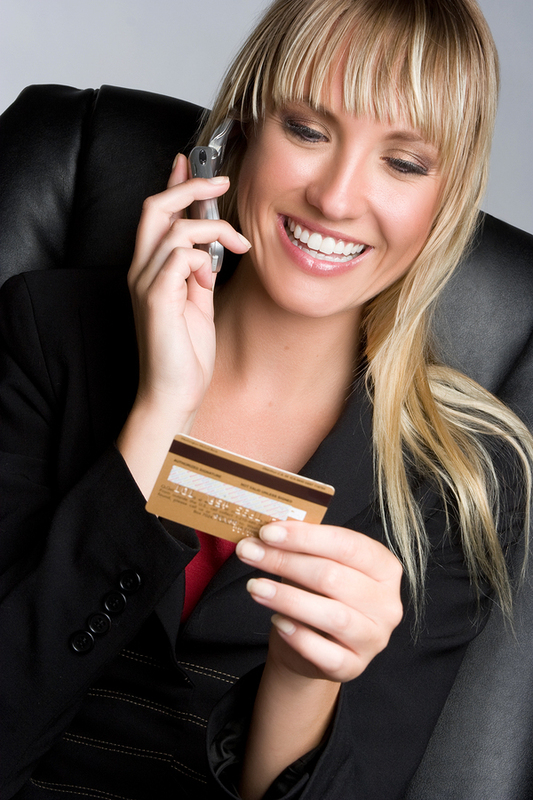 Keeping an open line of communication with your credit card company is imperative during periods of unemployment. The last thing you want to happen is to have your credit cards turned over to collections, which would be devastating to your credit score. By being open with your situation, you have the potential for the creditors to be flexible with things such as changing your payment due date or negotiating a smaller minimum payment. You’ll never know if you don’t ask, right? Don’t wonder what could be, pick up the phone and be honest about your situation! It won’t be the first time they’ve had a call like this, and there is no shame in admitting you need some help. You always want to strive to be a smart spender, but this is of increased importance when unemployed. There is no way to predict how long it will take to find a new job, which makes it very difficult to budget realistically. You want to make sure you are planning for the worst but striving for the best when hunting for a job and maintaining your everyday life. 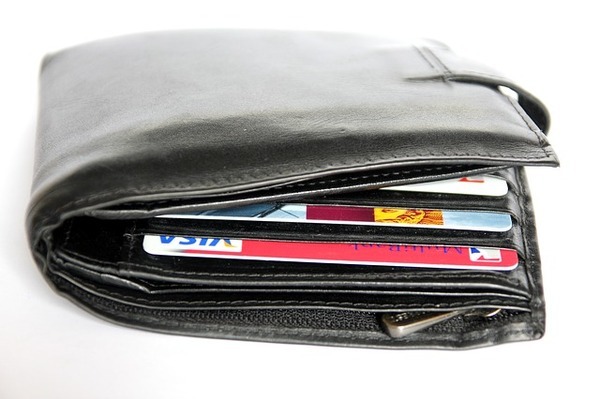 Take your self-control with your credit cards to the next level by prioritizing. You need to spend on priority expenses before all else. If you happen to have some extra cash left over each month after taking care of all needed payments, make sure to continue to hold onto self-control and not splurge. You never know what unexpected event could occur before you are working again, and you don’t want to suffer irreparable credit score damage because of being forced to use credit cards excessively. 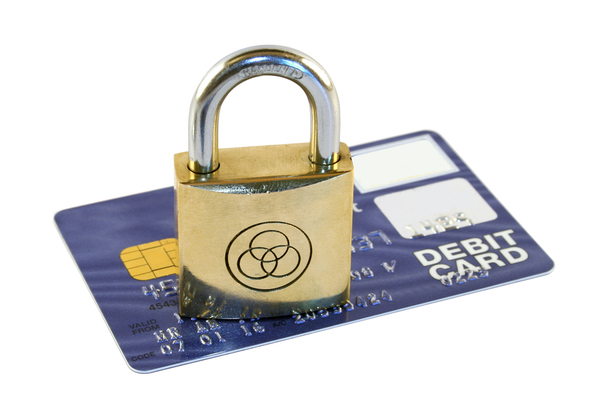 Keep your credit cards in lockdown as much as you possibly can. Never forget to utilize a free credit check! Keeping yourself informed of your financial status during this difficult time is of paramount importance, not just for your finances but for future job potential. Many employers will run a credit check on potential candidates for employment, and you need to be completely educated on items that could be considered “red flag” material to a possible employer. Being ever vigilant with a free credit check will also help you be extra cautious when you spend with credit cards during your period of unemployment. Sign up for top offers and get even more assistance during your difficult time. 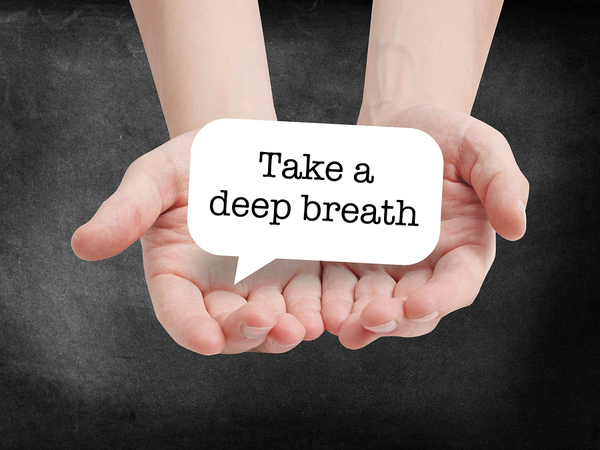 Don’t forget to take deep breaths and keep motivated! Congratulations, you’re expecting! You will soon be a parent and never look at life in the same way again. You also will never look at your financial needs the same way again, because your spending habits are about to have a major overhaul. Now is the best time to start preparing. You don’t want to have anything distracting you from your newborn that you could have handled beforehand. There will absolutely be enough keeping you busy that finances shouldn’t be a major one if you plan properly. Expect a change in expenses! It can take between two to eight months to make a new behavior a habit, so the sooner you start your financial preparations, the better. 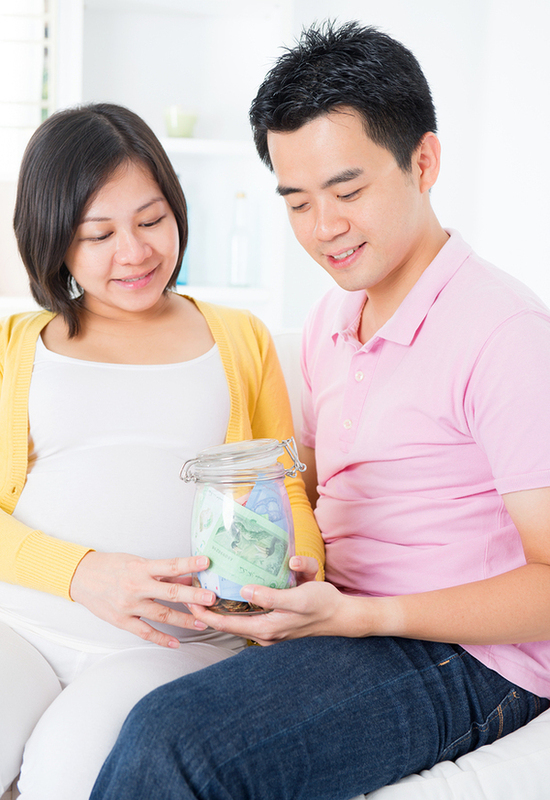 Your baby is on a pretty set schedule to enter the world and isn’t going to wait around for your financial plan! You want to begin thinking about and making financial choices that will be in effect for years down the line. These items include college savings, retirement plans, estate planning and emergency funds. We know, it’s a lot to take in and learn about. Especially if you’ve never looked into any of these items before. Don’t feel lost. Find a way to learn! This is probably one of the times in life when it is the most recommended to seek out financial advice. You already have so many other emotions and thoughts running through you constantly during this process that having an outside expert step in to help with the financial advice aspect will not only be a relief but help make your financial plan realistic. You’re on the one-way road to your family’s financial future no matter what, so why not get some help with the process? If you don’t wish to seek out professional financial advice, seek some resources out on your own. The Economic Policy Institute has a great tool sorted by state to show you costs that will affect you and your child, such as average cost of child care, cost of housing and cost of college. Two words to always keep in the forefront of your parental finance brain: credit score. Make sure you are actively checking your credit score to make sure everything is as it should be. This also ties into thinking about long-term goals instead of immediate, future, or impulse purchases. 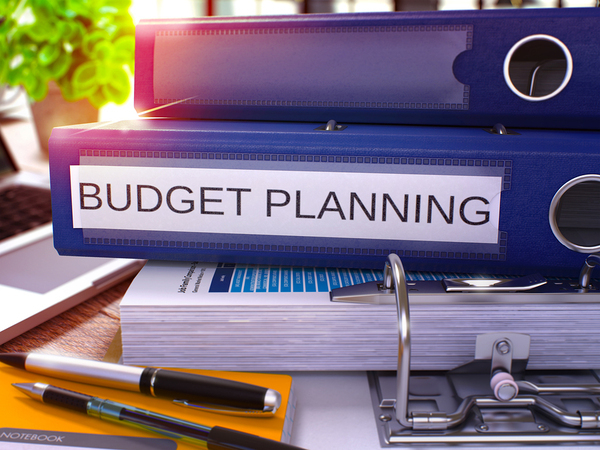 Plan your budget now and make allowances for unexpected events. Don’t go crazy spending money because you want to get the most out of your time before the baby arrives, you should be doing the opposite! Start saving more, be more conservative with splurges and prioritize monthly expenses. It’s never been easier to check your credit score, so there is no excuse not to! Regularly checking credit score helps you see that you are keeping on the right track to cover all of your new, newborn-induced expenses. You’ll know when you need to make changes to your budget and continue to evolve your spending and improve upon family finances. Find your credit card for your new family today! You might be familiar with the term “smart money”. What kind of images does this statement stir in your mind when you hear it? Probably someone who has an extensive history of making only the most appropriate and wise decisions with their finances throughout life, right? While this is true, there is no reason that someone who might not have always been the best with their cash can’t master the “smart money” game. 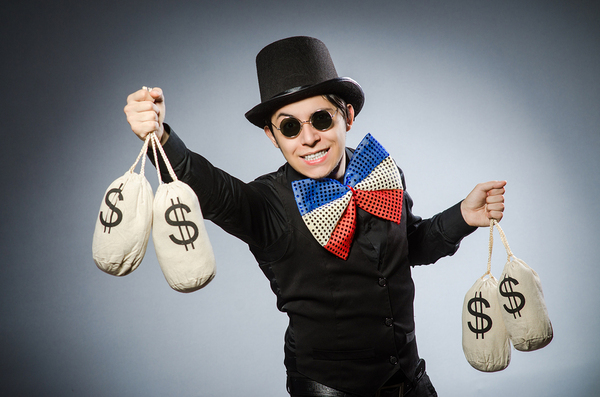 Here are 4 tips to help you put your money genius caps on! You don’t have to go this far with your genius cap, how about starting with our quick and easy tips? Yes, it does seem like an incredibly obvious tip to verbalize, but you would be surprised how many people never make it to the action phase of a budget creation ideal. Even fewer actually stick with the budget when created. A recent Federal Reserve release stated that only 53% of people surveyed would be able to cover a hypothetical emergency bill exceeding $400 without having to turn to outside sources. This is why it’s important to discuss. 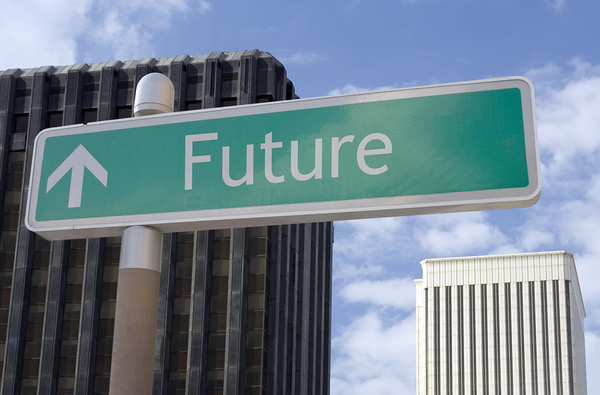 Think of a budget as a road map to your financial future. Overwhelming? For sure. That’s probably one of the main reasons it can be pushed aside by people so easily. Start small, take it in pieces. Get in the habit of planning out expenses you know you will accrue in a month like gas, groceries, phone bill, etc. This will put into clear terms a minimum of what you can expect to have leaving your bank account each month, and will help you be more reasonable when determining what you can “splurge” on at any given time. Once you have the foundation for your budget in place, everything else will follow. This tip builds upon the foundation laid by your budget. Once you have a good system in place for regular spending, you can begin to get an idea of how much can be set aside for savings. Savings can be split into two types of categories: emergency fund and “fun” fund. You want to make sure that the emergency fund is well stocked first, since this money will be put into effect when unforeseen events occur. No one likes thinking about them, let alone planning for them, but it is a risk you cannot afford to take. The “fun” fund is like your rainy day savings. If a special event occurs that you want to go big with, this is where you can get that extra cash without throwing a wrench into the well-thought-out budget. This is not an easy process to do. 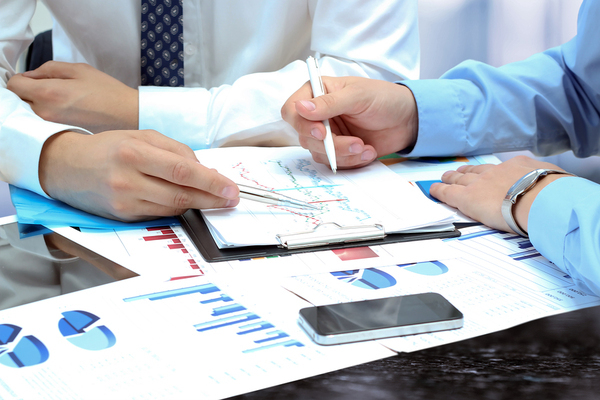 You may want to think about seeking financial advice to get you on the right track. The important thing to remember is that handling your money is not a perfect science, and there will be times that you make a mistake. That is okay! Don’t be too hard on yourself. If you are feeling totally lost, seek out some professional financial advice. Who knows, something you’re told could be your “light-bulb” moment in your savings planning brain. 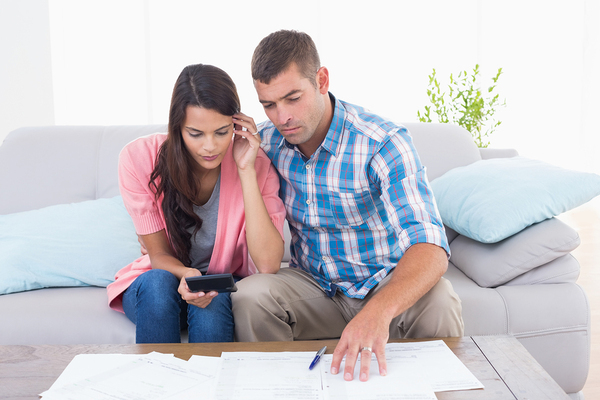 Planning for your future and learning how to handle your money can sometimes be too much to take on alone, so don’t worry about asking for help. That’s why financial advice exists! Have your money work as hard for you as you are working to obtain it. Invested money is smart money, meaning it has potential to bring you more money instead of staying in its current condition. There is no reason to have money sitting idle in your account, have your extra dollars and cents make more sense with some smart money investing! Consider a retirement account. We know, it’s hard to think that far ahead, but keeping the idea of investing consistently in a retirement account is a wise choice for your financial future. 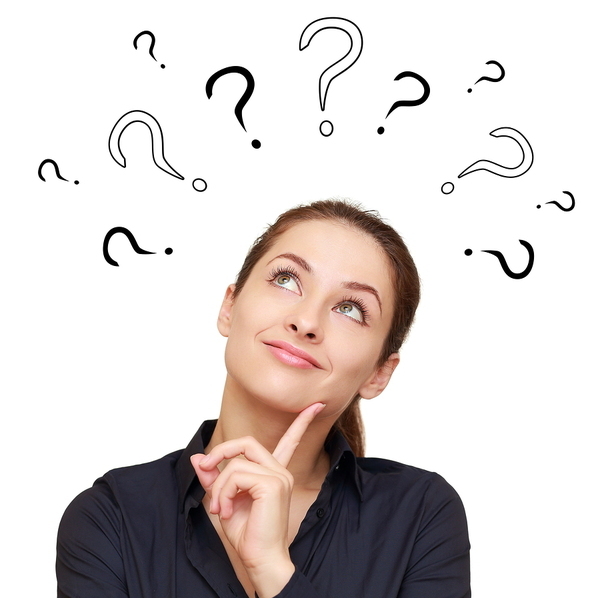 Check out some information about the difference between a Roth and traditional IRA. Sounds like pretty smart money to us. A tried and true tip that should always be included when thinking about smart money is paying credit card bills on time. This is something that, when done consistently, not only helps you stay on track with your budgeting but can help your credit score. Try paying off your credit cards each week, or twice a month, instead of once a month as required. This will hold you extra accountable for your spending habits and keep you aware of your daily activity to help you budget more effectively. Become even more of a smart money manager and see our top credit card offers to begin on your journey! GoBankCards.com is an independent, advertising-supported service. The offers that appear on this site are from companies from which GoBankCards.com receives compensation. This compensation may impact how and where products appear on this site, including the order in which they might appear within listings categories. Other factors, such as the likelihood of applicants' credit approval may also impact where products appear on this site. GoBankCards.com does not include every available offer for credit cards currently in the marketplace.